Jazmine Sullivan, Arca, Wolfgang Tillmans, and others helped make his visual album a reality. For the visual album Endless, released late Thursday night, Frank Ocean worked with a number of new collaborators, and with some past collaborators who took on new roles. 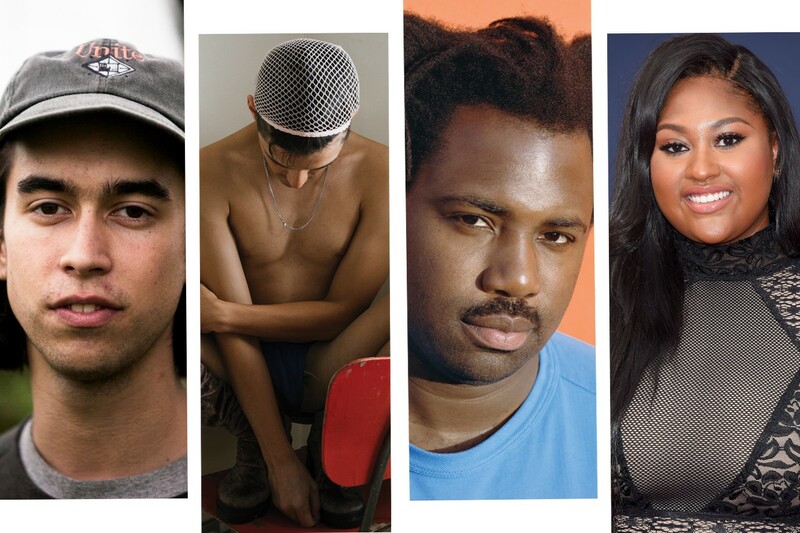 Sampha, Jazmine Sullivan, James Blake, Arca, and the DIY rock singer/songwriter Alex G helped play, produce, and write songs. Photographer Wolfgang Tillmans makes reference to Apple and Samsung smartphones; Frank’s personal stylist Rita Zebdi has what appears to be her debut as a vocalist on "Commes Des Garçons." Here, more on the names you should keep in mind as you make your way through Endless and its credits. Vocalist and songwriter on "Device Control"
Wolfgang Tillmans is a German, Turner Prize-winning photographer and visual artist who has taken Frank's picture. You may have seen his recent E.U. referendum campaign. Endless’s robotic intro and outro "Device Control" is Tillmans’s own track, and will be released shortly. (It features drum programming and synths from Berlin-based engineer Tim Knapp and New York producer Kyle Combs.) If you’re digging its sci-fi feel, you might be into “Make It Up As You Go Along,” a hallucinogenic song taken from Tillmans’s first ever musical release, this summer’s 2016 / 1986 EP. Sampha, a recent FADER cover star, has previously lent vocals to Drake and Beyoncé, as well as releasing his own heart-rending electronic pop via Young Turks. If his soulful voice catches your ear on Endless, be sure to watch this raw live performance of "Plastic 100°C," a song taken from his upcoming solo album. Vocals on "Alabama," "Wither." "Hublots," "Rushes"
Chassol is a French pianist and film composer whose experimental work has drawn comparison to Steve Reich. Ocean reportedly found out about him from Diplo. If you’re enamored with Chassol’s keys on “U-N-I-T-Y,” listen to this tune from his 2015 album Big Sun. Synth on "Commes Des Garcons," "Slide on Me," "Sideways," "Florida"
Buddy Ross is a West Coast-based producer and keyboardist for Ocean. He also appeared on the loosie “memrise.” His Soundcloud is peppered with solo productions, for those who like his keys on Endless — listen to “Surrounded” below. Programming and bass on "Commes Des Garcons." "Slide on Me," "In Here Somewhere," "Sideways," "Deathwish (ASR)," "Rushes To"
Bass on "Commes Des Garcons." "Wither," "Sideways," "Rushes"
Ben Reed is a musician from London who regularly plays bass for other artists, including DEEK Recordings’ experimental pop singer Laura Groves. Reed is set to release his solo LP Station Masters in the fall; listen to its lead single below. Vocals on "Commes Des Garcons"
Rita Zebdi is Frank Ocean’s stylist. Despite being credited as a vocalist on “Commes des Garcons,” she doesn’t appear to have any other music online. She did style this James Blake music video, though. Guitars on "Wither," "Slide on Me," "Rushes," "Higgs"
Alex G is DIY rock wunderkind in the vein of Elliott Smith or Built To Spill. Based out of Philly, he’s got a deep bench of cult favorite albums, both self-released and via Orchid Tapes, and signed to Domino last year for his Beach Music LP. But this is far and away his biggest look to date — and a truly unexpected collaboration. Good looks all around. String orchestration on "At Your Best (You Are Love)"
Orchestra on "At Your Best (You Are Love)"
The London Contemporary Orchestra is an ensemble of young British classical musicians who are known for their innovative, cross-genre collaborations. 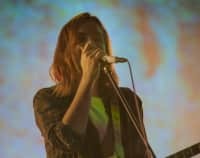 Like Jonny Greenwood, they’ve previously worked with Belle and Sebastian, and were chosen by Anohni to perform William Basinski’s “The Disintegration Loops” at Meltdown festival in 2012. Watch them performing with Greenwood below. Piano on "At Your Best (You Are Love)"
Om’Mas Keith is a Los Angeles sage who first made his name with the Sa-Ra Collective, pioneers of bridging hip-hop and avant-garde jazz. A true craftsman, he played a big role on Frank Ocean’s channel ORANGE, and has done production work for John Legend, Jill Scott, and Erykah Badu. Former FADER cover star Arca is a London-based Venezuelan producer who makes electronic music that refuses categorization. He’s previously collaborated with Kanye West on Yeezus, and extensively with Björk on Vulnicura. If the short, trippy taste of “Mine” left you hungry for more, don’t miss his latest 25-minute release Entrañas. Programming on "Slide on Me," "Rushes," "Higgs"
Synth on "In Here Somewhere," "Deathwish (ASR)," "Rushes To"
Originally from Austin, TX and now based in L.A., TROY NōKA used to go by T-Wiz — it was under that name that he produced a trio of tracks on Frank’s nostalgia, ULTRA, and wrote and produced tracks for Ciara, Cheryl Cole, and Chris Brown. Under the name TROY NōKA he released a few beat tapes in the early 2010s before emerging more recently as a rapper, too. Nolife is a producer based in New York. The splintered noise of QUASI​-​MMKV, streaming below, may be jarring to some Frank Ocean fans, so fair warning. A longtime favorite of The FADER who once taught us how to do tricks with a mini Tech Deck skateboard, Uzowuru is much better known as the California producer behind beats for Vince Staples, Earl Sweatshirt, and Vic Mensa. Om’Mas Keith brought him in here to help out as both producer and songwriter. Unfortunately we couldn’t find out more about this person — let us know if you do! Guitars on "In Here Somewhere," "Deathwish (ASR)," "Rushes"
One theory is that it’s Jason Pierce, a.k.a. J. Spaceman, of Spiritualized, but unfortunately we couldn’t find out more about this person — let us know if you do! Watch Endless on Apple Music.